Trelleborg’s engineered products operation has supplied a bespoke, flexible rubber membrane to WETFEET, a EUR 3.46 million, 3-year research and development project designed to foster the exploitation of ocean wave energy. Funded by the European Union’s Horizon 2020 program, the WETFEET project, which has brought together 12 partners spanning six EU countries, aims to address a number of the major constraints that have delayed the sector’s progress to date and develop innovative technology solutions for use in wave energy devices. “WETFEET was set up to address these issues and pull together a team focussed on developing viable components, systems and processes to help fulfil wave energy’s potential,” continues Cândido. 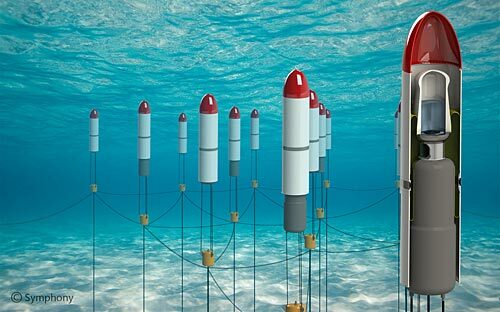 To date, the project has seen the development of a set of breakthrough technology solutions integrated into two wave energy converters, a floating oscillating water column and Symphony, a variable-volume submerged point-absorber. “Our polymer membrane technology ensures that the membrane not only acts as seal to protect internal components from external water pressure, but as a bearing to prevent the hull and compensation tank from colliding. Both of which ensure a best-in-class submerged pressure differential device in a smaller geometry, helping to reduce concerns around the cost of Symphony’s development,” adds Vonk.